We speak fluent doctor, nurse, midwife, dentist, pharmacist, patient and mum. And we write it too. Wordbird is a healthcare communications agency with creative, compelling copy at its heart. For us, it’s all about words working with images, so that audiences ‘get it’, brands are built, sales strengthened and, most importantly, real people feel better. Our team has many years’ healthcare experience, translating strategic ideas, brand concepts and complex clinical data into communications that everyone can understand. As a channel neutral agency, we work across all the media you already know. And we have our beady eye on the future of Apple Watch. 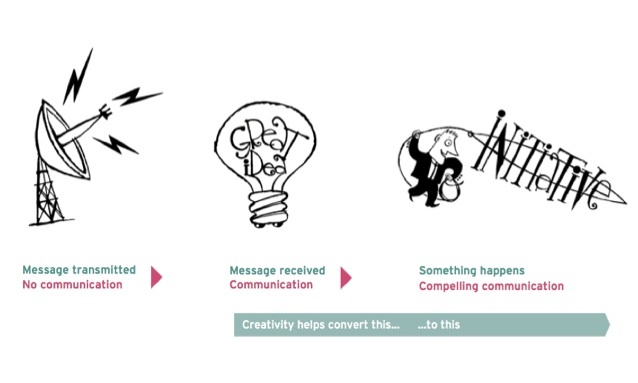 For us, creativity is a tool that can turn ‘message received’ into communication that compels the audience to react. If you want something truly different to stand out in a crowded marketplace, we’re ready and waiting. Field force visits are an essential part of our training curriculum. We know it's tough out there. That’s why we create iPad sales stories to engage, challenge and reward. In our experience, writing representative training notes in tandem with a sales story provides a real time reality check. Plus, we provide all the collateral support you’d expect. Ads, apps, brand experiences, exhibitions, conferences, speaker slide sets, websites and e mail campaigns, we do them all. For all healthcare professional audiences; under PMCPA, PAGB, ABHI or other EU codes. We always write from sources, marking up from draft one, so there’ll never be that rather awkward moment where nobody knows where a claim has come from. Come to us for data mine exercises to shape strategy and message development. Or, find out how our core claims documents are that little bit different - and how this helps marketers and medics alike. We can support marketing authorisation applications by writing HCP training or disease state patient education. If English is not your first language, we can help you there too. We’ll capture your brand in a brand book. Or accurately deploy your brand from somebody else’s. Whatever it takes, our job is to make your job easier. Online, by e mail, in your company foyer or conference we’ll help you make just the right impression. "It is always a pleasure to work with Sarah, Andrew and the team at Wordbird. They take on your project as if it’s personal – not only do they deliver great copy and creative visuals but they are proactive, bring relevant clever ideas, project manage everything brilliantly and work seamlessly with other people involved in the project – from KOLs to other agencies. We’re just completing a project targeting ophthalmologists and patients to educate them about glaucoma and it totally stands out from everything else that’s been done before in this area - warm, colourful, informative but simple, and talking the patients’ language. I wouldn’t hesitate to work with them again; in fact I am seeking out new projects to give them because I know they’ll do a superb job." "Wordbird is such a great partner to work with! The agency has always delivered quality work and excellent consulting services. They have notably produced outstanding communication pieces for patients and pharmacists. The team is always enthusiastic and fully dedicated to our projects. What a pleasure!" "Rarely do you come across a company that instantly understands your company values and products. They took on the brief at a moment’s notice and produced an outstanding piece of work. They are extremely creative, forward thinking and deliver what they say they will. It is a pleasure to work with such a talented team who go above and beyond what is expected."